Welcome and thank you for considering Admiral Lord Nelson School for your child. Currently we are oversubscribed and have waiting lists in almost all year groups. However, we do have a number of young people who move out of area and leave Admiral Lord Nelson School during the school year. That means places in all year groups regularly become available. 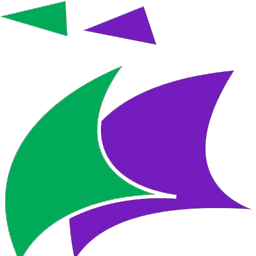 “The Salterns Academy Trust was formed when Admiral Lord Nelson School became a converter academy in April 2014 as a means of developing ever closer working relationships with our primary and secondary partner schools. Admiral Lord Nelson School is an oversubscribed 11-16 school built on a greenfield site on the eastern side of Portsmouth in 1997, breaking new ground at the time with its unique environmentally sensitive and educationally inspiring design. 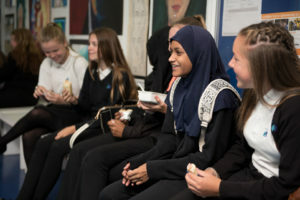 We are a UNICEF Rights Respecting School, a lead member of the Portsmouth Teaching School Alliance and the school has a national reputation for its innovative work on curriculum and leadership development. In March 2011, OFSTED judged us as being a good school which provides outstanding care, guidance and support for its students and promotes their personal development very well. You may wish to see the current prospectus by clicking here. If you don’t know the area or the school that well and would like a tour before applying please contact our Student Services team by using the form at the bottom of this page. They will get back to you set up a mutually convenient time. In order for your child to be considered for a place you will need to complete the relevant application form. Although the school has academy status we are currently still working in conjunction with Portsmouth Local Authority Admissions team. The following link will take you directly to their admissions webpage and the appropriate application form. You may want to take advice from them as to the likelihood of obtaining a place before applying. You can contact the Admissions team by phone on 023 9268 8008, email [email protected] or write to them at Admissions team, Civic Offices, Guildhall Square, Portsmouth, PO1 2EA. When we have a place available, the Admissions team contact us with the name and contact details of the next child on the waiting list. Please see the admission criteria in the relevant admission policy below.